One of the many joys of visiting a library is the “New Books” area. 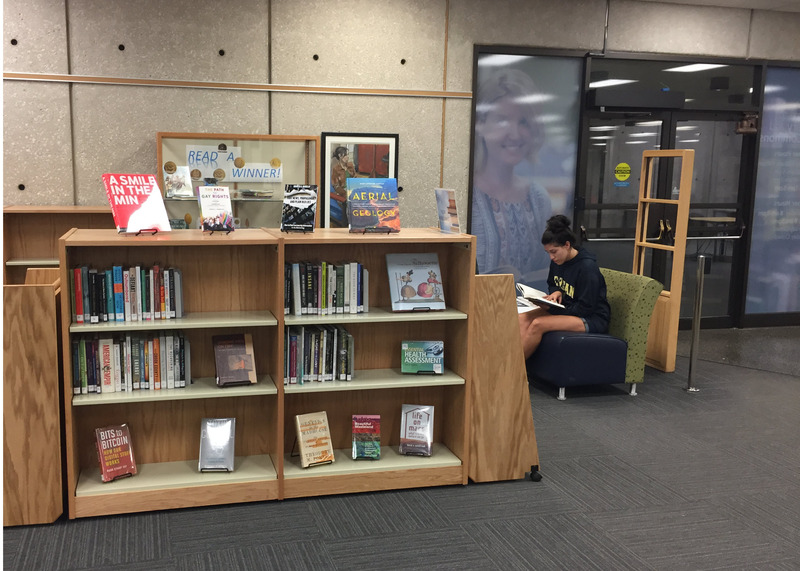 Grab a cup of coffee at the Circulation Desk, and make yourself comfortable in the Library & Learning Commons. Take a look at the recent acquisitions. Can’t make it to the Library? Take a look at the online Featured Lists of new materials (including e-titles!) found on the RaiderSearch Catalog . They’re updated regularly.